For the upcoming year 2016 I have prepared for you an incredible amount of giveaways, for example world's most luxurious cosmetics – La Prairie, nail polishes OPI, jewellery Pandora, three necessaires full of Lancôme cosmetics and also beautiful products of Estée Lauder, for which you can compete today. You will hardly find better giveaways somewhere else. Today's package is for skin care and contains a set for facial contouring of New Dimension, which gives your skin in only two steps a perfect shape, also facial oil Resilience Lift to brighten the skin, the cream Revitalizing Supreme and a tester of facial serum Advanced Night Repair. All this has a value of USD 150. The competition is open internationally. Leave your email address and follow this blog via GFC. And do not forget, besides the mandatory rules this giveaway has also optional rules, which could increase your chances to win. Giveaway will run until 27.1.2016. Na nadchádzajúci rok 2016 mám pre vás nachystané neskutočné množstvo darčekov, ako napr. najluxusnejšiu kozmetiku na svete – La Prairie, laky od OPI, šperky Pandora, ďalej tri plné kozmetické taštičky Lancôme a taktiež kozmetiku Estée Lauder, o ktorú sa bude súťažiť aj dnes. Ťažko nájdete lepšie giveaway niekde inde. Dnešný balíček zameraný na starostlivosť o pleť obsahuje set na kontúrovanie tváre New Dimension, vďaka ktorému vašu pleť jednoducho v dvoch krokoch vytieňujete, pleťový olej na rozjasnenie pleti Resilience Lift, krém Revitalizing Supreme a na vyskúšanie mini pleťové sérum Advanced Night Repair. To všetko v hodnote USD 150. Do súťaže sa môže zapojiť ktokoľvek, pretože je otvorená medzinárodne. Stačí na seba zanechať email a sledovať tento blog cez GFC. Giveaway má aj nepovinné pravidlá. O ich dôležitosti vám nemusím písať, pretože určite viete, že ich splením si veľmi dopomôžete k výhre. Giveaway pobeží do 27.1.2016. I'm in, I love Estee Lauder! O love Estee Lauder. They have great products!!! Hope to win ...I really wish I get this as my christmas gift to look decked up and look my best all thru 2016! Happy New Year to you and your loved one's. Thank you for the great blog. Love it! thank love i love this products!!!! Estee Lauder is always be my favorite beauty products! I love these products! Have a great 2016! oh wow!!! fab giveaway!! 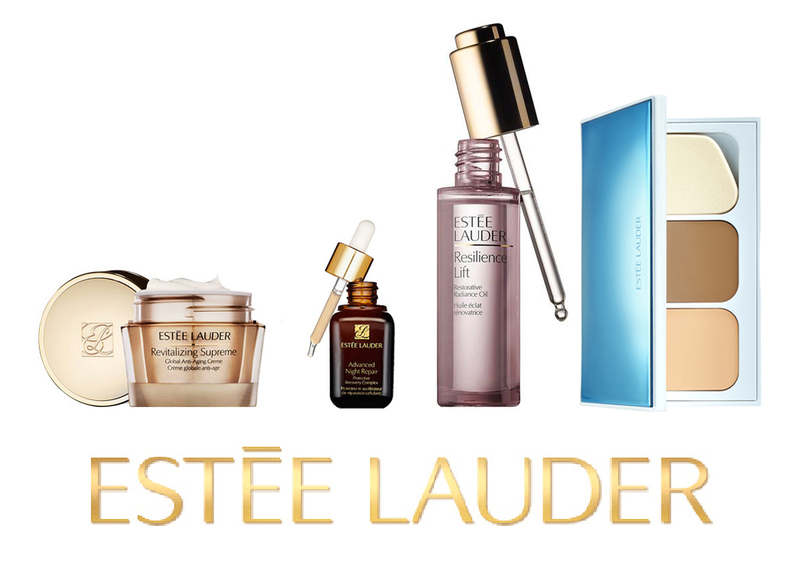 I adore estee lauder products! I havent ever tried anything from EL, it would be na honour. omg Esteer Lauder is the best brand ever! Thank you for the chance! Happy New year! What an amazing give-away, such a great way to start the year! I'm definitely participating! great giveaway, keep up the good work, happy new Year! I love this giveaway and Estee Lauder! I really want to win this for my mother. Happy New Year. gfc_fb georgiavetsou All i know for sure Estee lauder make you feelunique !!!! awesome giveaway for some incredible products. Good luck to everyone, estee lauder is the best. Adorei os presentinho, toda mulher merece este mimo. Beautiful giveaway, I am participating and kisses. Nothing would make me happier than to own some great products. My make-up is so old, Cleopatra was using it. Thanks for a great opportunity! Thank you for the opportunity. God bless you. Thank you for the chance to something so beautiful like this giveaway is !!!! Obrigado pela oportunidade! Adoro os produtos da Estée Lauder. Feliz Ano Novo! The Advanced Night Repair Serum is wonderful!! Thanks for this giveaway! (and very compliments for your blog's photos.. love them!!) Great! Kia Ora from New Zealand! I love the fact that you fearlessly do your own thing where fashion is concerned. Being a more mature woman, I appreciate your blog simply because I can find some inspiration for my own closet. The giveaway is an extra bonus, so THANK YOU!